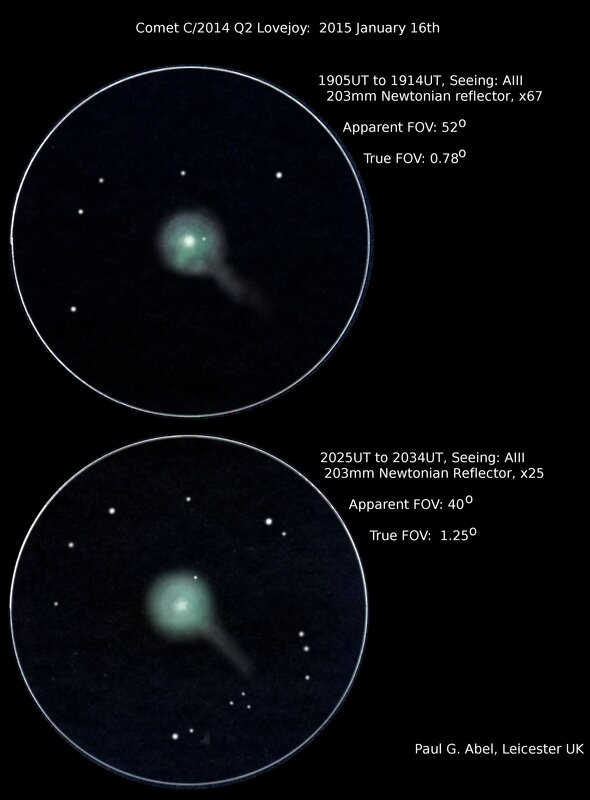 Please find attached two drawings I made of C/2014 Q2 Lovejoy on 16th January. Interestingly, the tail was much harder to see on the 16th, compared to the night of the 15th January. The greenish hue was still present, and the comet passed close to a field star during the course of the evening. There appeared to be some interesting structure within the coma (which seems very symmetrical, visually). Low powers seem to work well for this comet- the best view I had was just at x25.